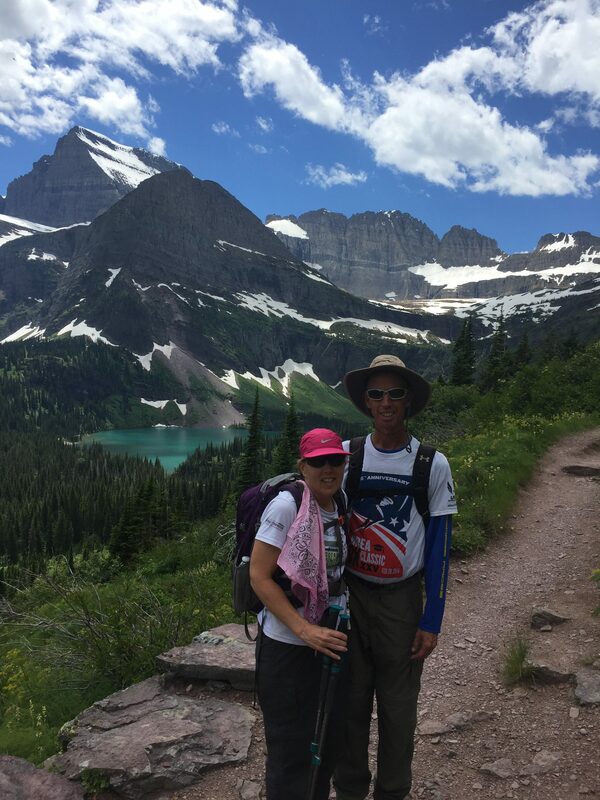 Our positive running story this time is about Julia Holt, a runner from Corona, California, who took part in one of our women’s running camps in the summer of 2016. Julia is a teacher and has an incredibly strong endurance capacity, and vast reserves of determination. 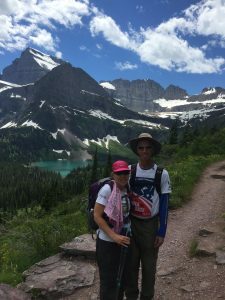 I have been coaching Julia for over a year now, and she has recently made a breakthrough with her training, and achieving results that she thought would not be possible for her again. We recently caught up with Julia, and this interview is the result. Can you share a brief background on your running career up to the present time? I’ve always enjoyed walking and hiking, but I never thought I would be a runner. I ended up in an unhappy marriage and gained a lot of weight in my late 20’s, but eventually realized I needed to do something about both situations. 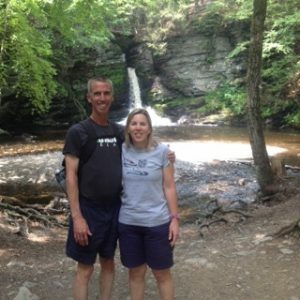 I lost the weight AND the not-so-great marriage and had a newfound confidence. I started doing short triathlons in my early 30’s and found I really enjoyed the running part of the event. Around this same time, a coworker I went to the gym with encouraged me to try a marathon. I bought a book by Hal Higdon and started training for my first marathon on my own – the LA marathon in March 2001. I’ve gone on to complete several road and trail races ranging from 5k to 50 miles. 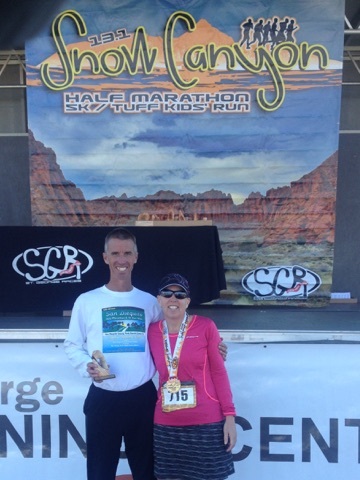 A few days ago, I completed another trail marathon at age 51. You attended one of our women’s running camps in 2016. What was the biggest take away for you from that camp, and what was the best surprise you received? The Active at Altitude women’s running camp changed my life in so many ways. The most valuable thing I learned at camp is to not compare myself to others, and to focus on my own journey. I left camp with a sense of calm and confidence that I hadn’t experienced in my life. The best surprise I received from camp was that I didn’t need to obsess over every piece of data (splits, pace, mileage) in order to improve as a runner. I was convinced the only way to improve was to push harder and obsess more, and it surprised me to learn that I improved when I did the exact opposite of that. In November last year you raced a rocking half marathon at the Revel Canyon City, breaking 2 hours, a time that you thought you would never reach again. You said you realized afterward that you had given up on yourself, and the idea that you could run a fast time like that again. 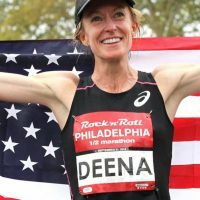 What did that result do for you, and what would you say to other women runners who also feel that they have possibly given up on themselves? I was contemplating running a full marathon in November 2017, after coming back from a foot injury. Terry (you) asked me if I would rather run a so-so marathon or a really good half. That question helped me realize what I wanted, so I signed up for the half marathon. 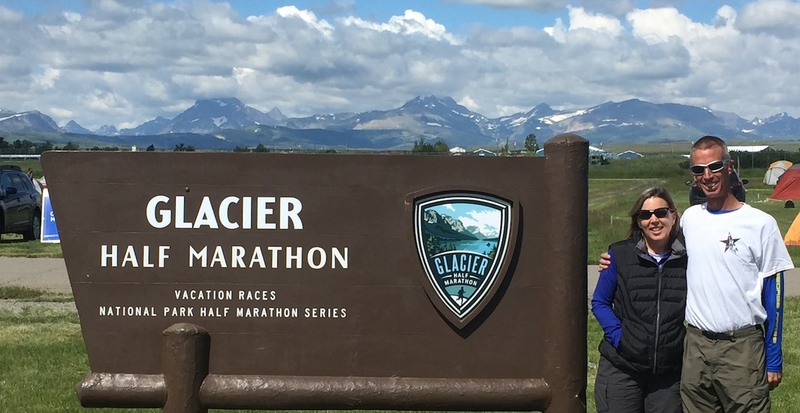 I followed the training plan from Terry and I arrived at the start line in a great frame of mind, and with a race plan that didn’t involve obsessing over any splits or paces – rather, it was a plan based on effort and feel. The race unfolded nicely, with me not looking at my watch and just running by effort. I finally did glance at my watch at mile 10 and realized I had a chance at breaking two hours, which I had only done twice before, and at a much younger age. I was absolutely stunned at my performance, and I managed to hold it together for the last 5k, to finish in a time of 1:57.59. I literally cried tears of joy. I didn’t even know until that moment that I had given up on myself, and given up any hope of running ‘fast’ again and being under 2 hours in a half marathon. In that moment, my mind was flooded with hope, joy, pride, and the realization that you never know what might happen. I was proud of myself, and I felt a confidence and sense of accomplishment that I hadn’t felt in a very long time. I call on that experience when I’m struggling and remind myself that you never know what you are capable of. I was reminded of this the next day when I watched Shalane Flanagan win the NYC marathon. To any one who feels like the best is behind them, or that they’ll never achieve their goals, I would point to my experience and say I never thought I’d break 2 hours in a half marathon at age 51, but I did. I thought I KNEW what I could do, which ended up limiting me and creating a ceiling on my potential. Ditch the doubt and negative thoughts, and be open to the possibility that you DON’T know what your limits are or what you are capable of. You picked up a foot injury in January 2017 that sidelined you from training for a while. You said at the time that the injury had taught you a valuable lesson. Can you share more about what this opportunity gave the chance to assess about you? My foot injury prevented me from running for a while. When I was able to run again, I ran with more joy and gratitude. I learned to appreciate every run, short or long, and be more present in the moment. I also realized that I want to run for many years to come, and to listen to my body and stay healthy. It’s more important to me now to enjoy my running, and not make it another job. Can you share one thing that is unique about Julia that no one would know by looking at you? You wouldn’t know by looking at me, but I was born with deformed feet. I had to wear corrective shoes growing up, and then have surgery at the age of 16 to correct my foot issues. It’s pretty ironic that I love to run! You have recently been using the activacuity app to help you prepare mentally for your training and racing. How often do you use the app, what kind of effect has it had on your attitude toward running and your performance, and which program has been your favorite so far? The activacuity app has transformed my life in so many ways, and I’m forever grateful. 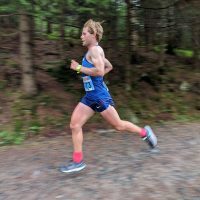 My whole attitude toward running has changed for the better, and the mental exercises in each session have taken my performance to a whole new level. My running is more positive, productive, focused, and joyful thanks in part to the mental training I experienced through this app. I’ve tried many methods in an attempt to improve my running, but it’s the exercises in this app that finally helped me achieve change. I listen to 3-4 sessions a week. My favorite program so far are the sessions on confidence. I’ve become more comfortable with my ability and the way I see myself as a runner. My goals for this year include running road and trail races, and trying courses I’ve not run yet. I’m considering a full marathon in October 2018. I want to backpack the only section of the John Muir Trail that I’ve not done, as well as visit Mt. Ranier. We wish Julia every success with her goals and dreams for many years to come. We’re sure that the students in her classes appreciate what a great teacher they have!